On December 6, the Institute hosted a book launch for Taming Japan’s Deflation: The Debate Over Unconventional Monetary Policy. The book, authored by Gene Park, Saori N. Katada, Giacomo Chiozza, and Yoshiko Kogo, focuses on how bolder economic policy could have addressed bouts of deflation in post-bubble Japanese history. Despite warnings from economists and intense political pressure, among other factors, Japan’s central bank – the Bank of Japan (BOJ) – resisted taking the bold actions that the authors believe would have helped. With Prime Minister Abe Shinzo’s return to power, Japan shifted course in early 2013 with the launch of the “Abenomics” economic agenda to reflate the economy and Abe’s appointment of new leadership at the BOJ to achieve this goal. The BOJ’s resistance to bolder policy stemmed from entrenched policy ideas that were hostile to activist monetary policy. Taming Japan’s Deflation shows that central bankers’ views can be decisive in determining monetary policy. 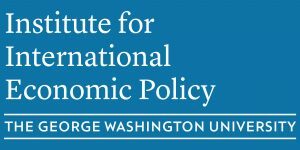 By addressing the challenges through institutional analysis, quantitative empirical tests, in-depth case studies, and structured comparison of other countries to Japan, the authors show that the adoption of aggressive monetary policy depends on bankers’ established preceding policy ideas and policy network structure.